Closed captioning (called subtitling in the UK) is the most widely used type of captioning. It provides viewers the option to view captions that are carried with the broadcast signal and the viewer is required to switch the captions on or off. This is done by “opening” the closed captions at the point of viewing. Media that has closed captioning available is commonly identified in program guides, online videos and on DVD/video covers by the closed captioning [CC] symbol. Sometimes it’s important for everyone to receive the message. Open captions are on display for everyone to see and are a permanent fixture on a video. It is also known as ‘burned in’ or ‘hardcoded’ captioning. Open captions can be delivered in a variety of fonts and styles – great for public places or events – and even YouTube channels. Subtitled foreign films are an example of open captioning. 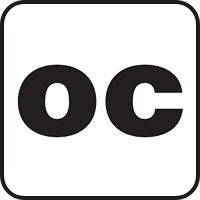 Visit this page to find out more about open captioning. Live captions are transmitted for live TV programs such as news and current affairs, sports coverage and program finals. Live captioning is also available for corporate, education and event settings. Live captions can be created by typing, stenocaptioning or respeaking. Live captions are created at the time of broadcast. Live captioning can also take place in real-time for classrooms using services such as Ai-Live. 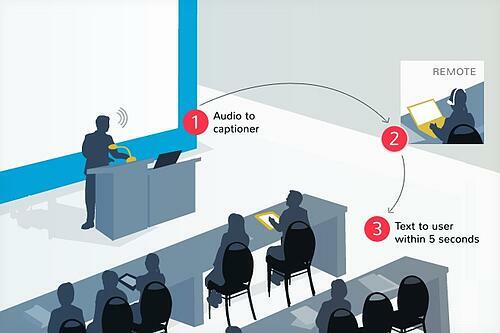 Ai-Live allows users to receive live captioning from a classroom, event, lecture, meeting or webinar via any web-enabled device. The spoken words appear on the screen seconds after they are articulated. To deliver live captions, Ai-Media uses highly-trained captioners and stenographers, who listen to the live audio stream and re-speak what they hear, including punctuation and grammar, into the Ai-Live system which is converted into text and then streamed to your live device. Visit this page for more information on Ai-Live. Live captioning is also sometimes known as communication access real-time translation (CART). Stenocaptioning is a method of creating live captions or transcripts that involves the use of a shorthand or stenotype machine. A stenographer will press multiple keys that each represent phonetic sounds in order to output the words and create captions at high speed. The methodology of how a stenocaptioner creates words from phonetic sounds is quite similar to how a pianist would create chords by playing multiple keys on a piano. Stenography has been used widely for courtroom reporting to accurately and efficiently capture spoken word content. 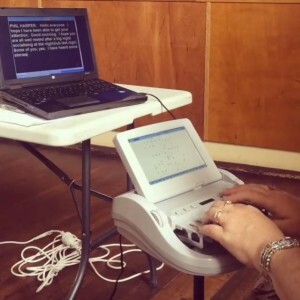 Watch this video of stenocaptioning. Respeaking relies on voice recognition software. Respeaking is a process whereby captioners listen to the audio feed of live events and then repeat the speech into their voice recognition software, including all relevant punctuation and formatting with voice commands. The voice recognition software then generates the captions as written text. To ensure high accuracy, respeakers train the dictionary in their voice recognition software to recognize the words that they will need ahead of time. These captions are prepared in advance of a program’s broadcast or upload and publication of a video. This captioning technique allows for the most accurate captioning, since it can be quality controlled and checked before completion. Captions can also be positioned and colored to allow for easier speaker identification. Sound effects that are crucial to the plot (for example, doors slamming, phones ringing) are included as well.